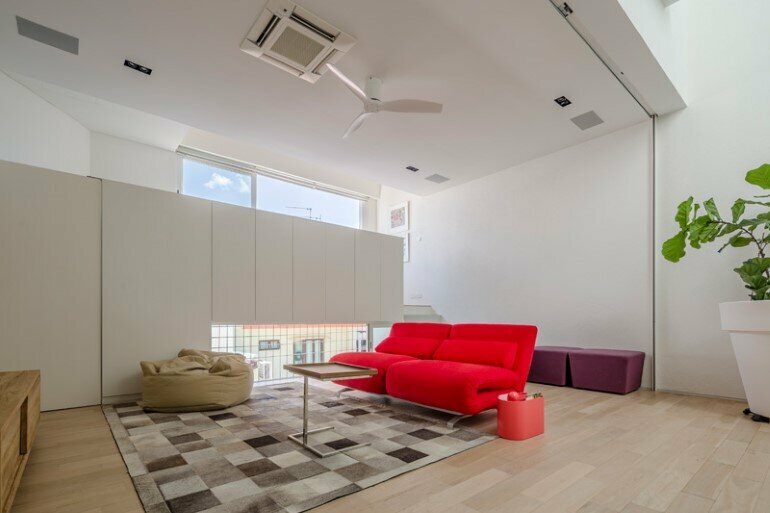 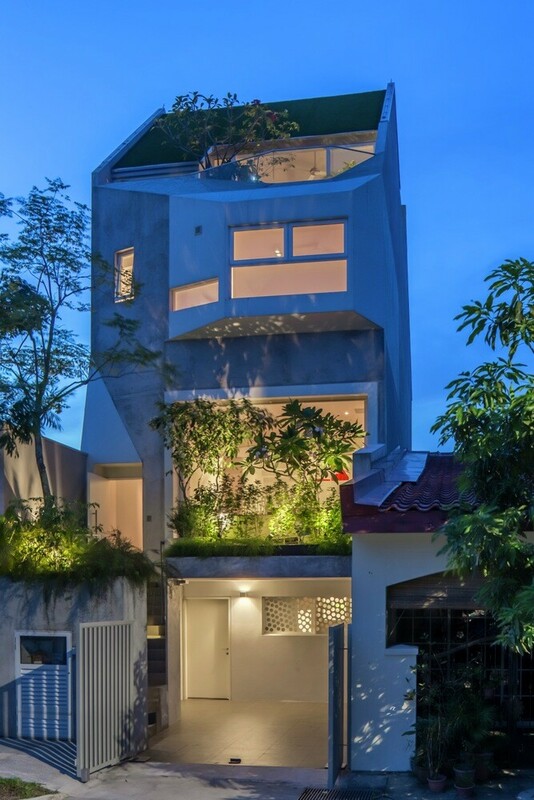 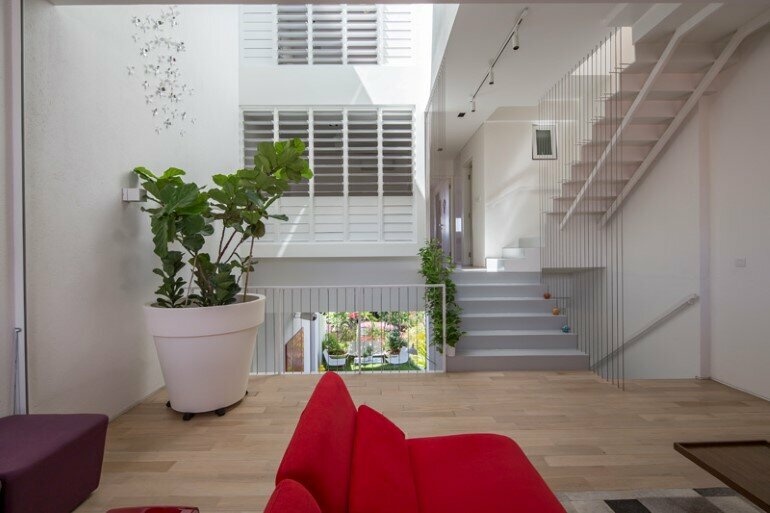 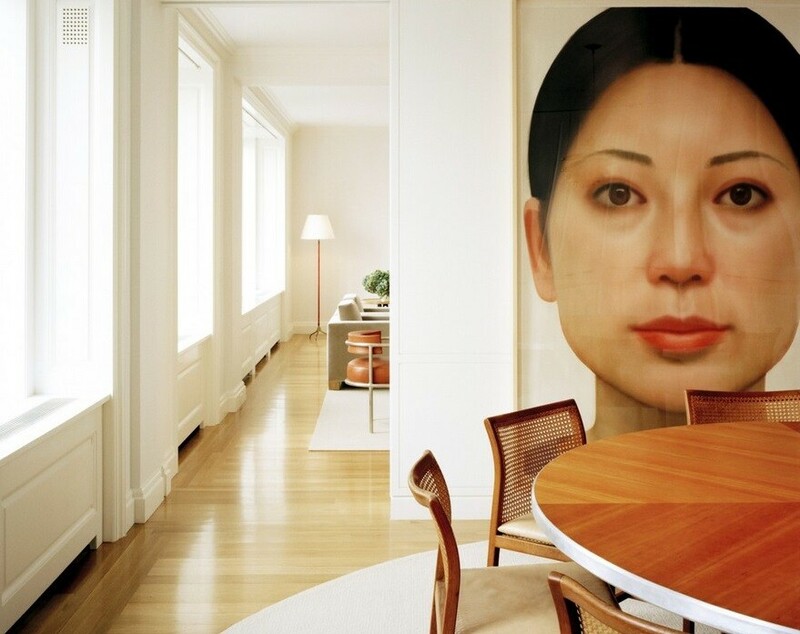 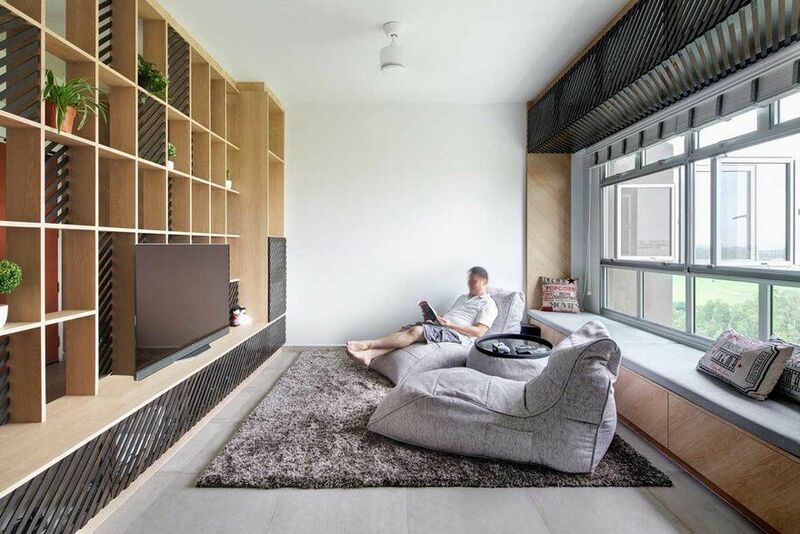 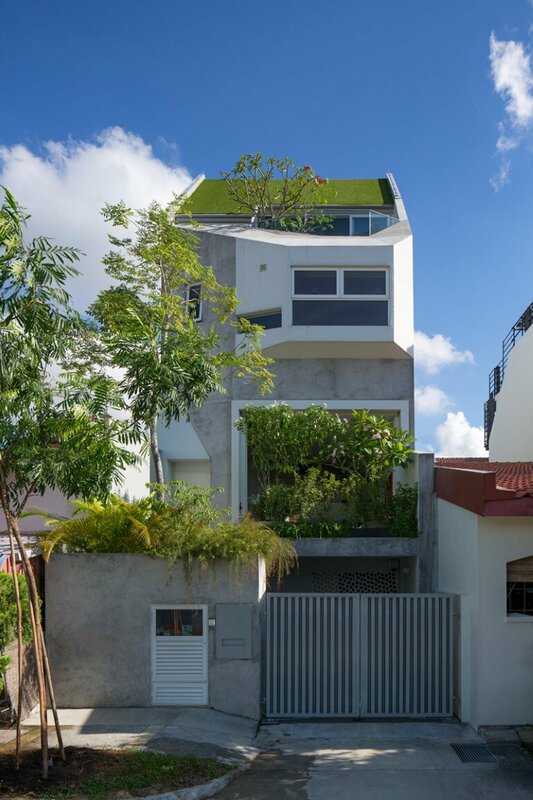 ‘House at Rienzi Street’ is an open house with intelligent design, conceived by AD Lab Architecture in Singapore. 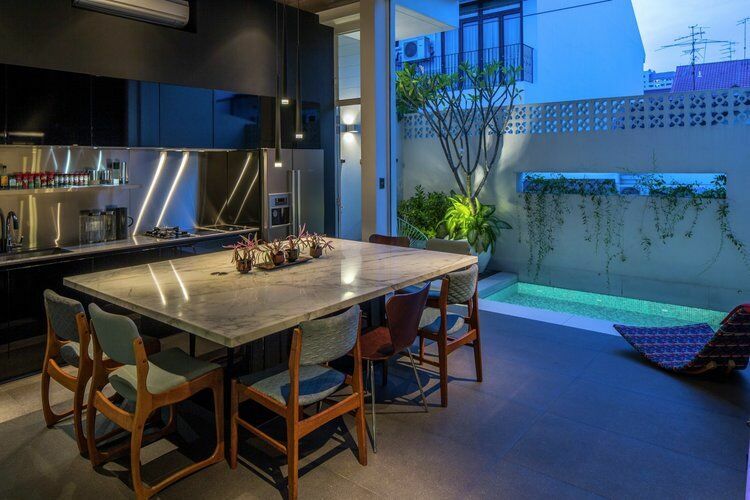 On this humble inter-terrace site of under 1400sqft, the architects have managed to create a sensation of surprising openness and limitless space within a lush green environment, while still very comfortably accommodating all the functions of a home. 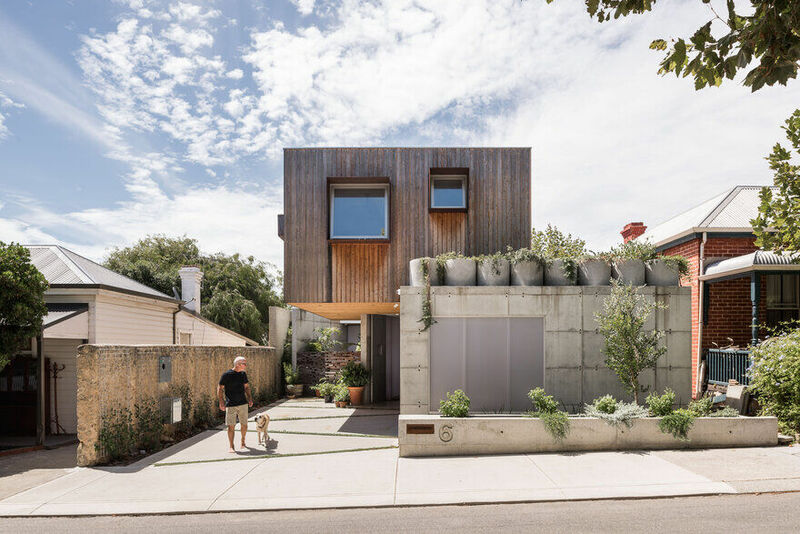 Situated within the narrow streets and densely packed rows of terrace houses of Opera Estate, it is difficult to imagine that such an open, well-ventilated house could be achievable. 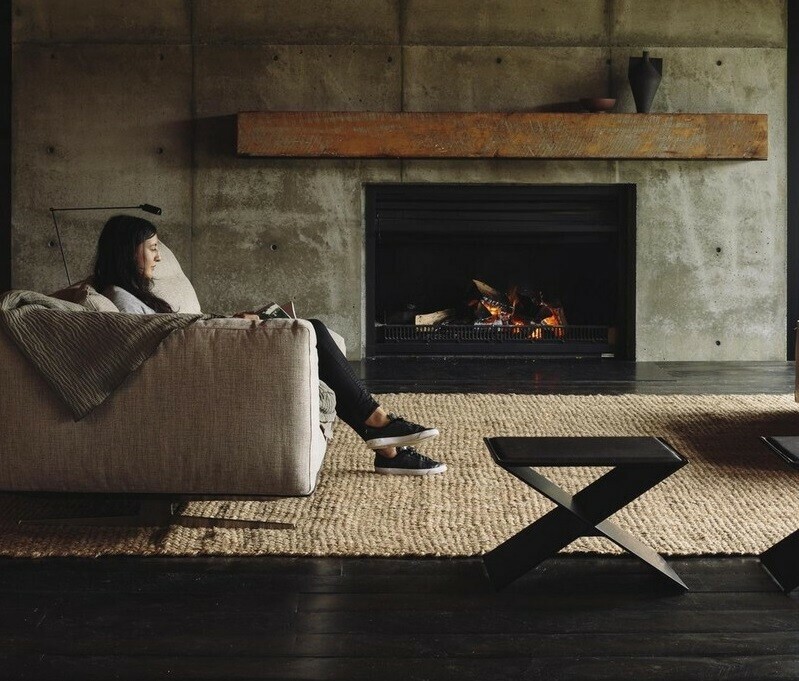 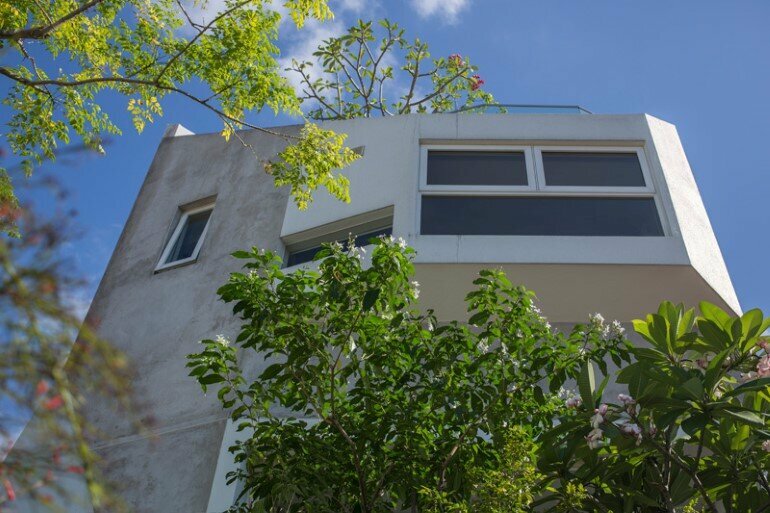 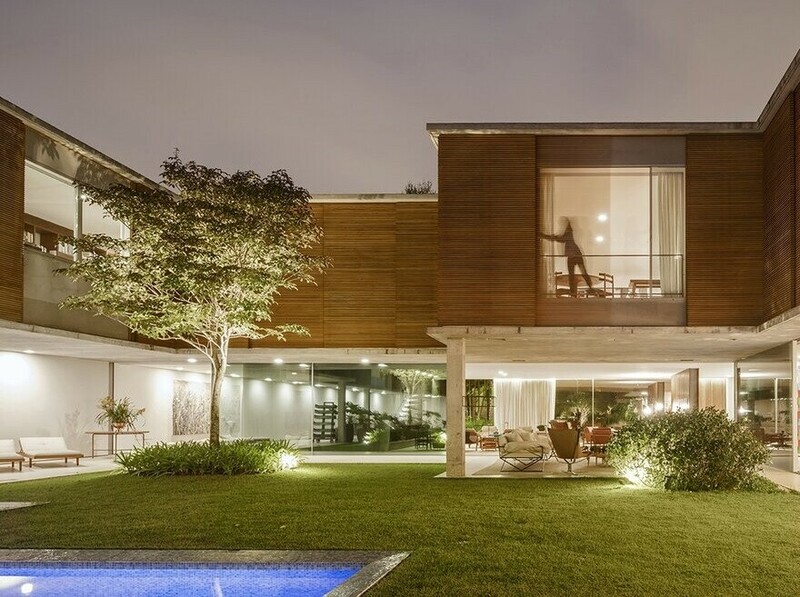 But through clever design and the immersion of natural greenery throughout the internal and external spaces of the house, the feeling inside the home is one of being in a boundless garden with a gentle constant breeze blowing through. 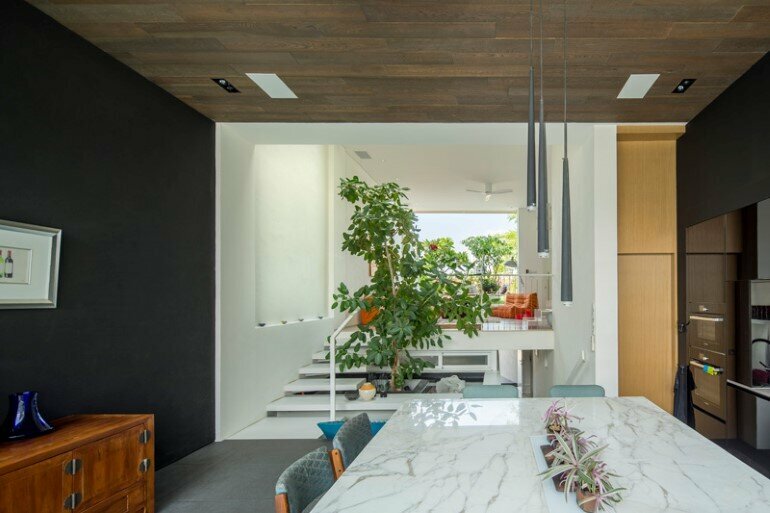 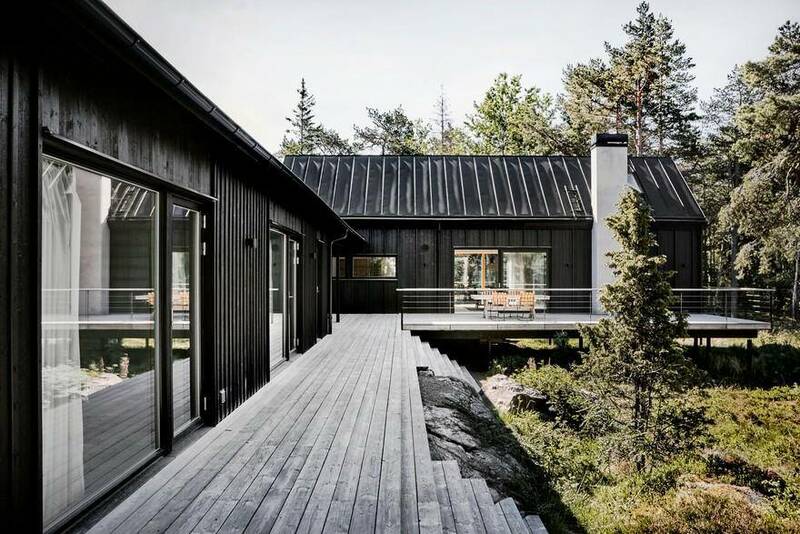 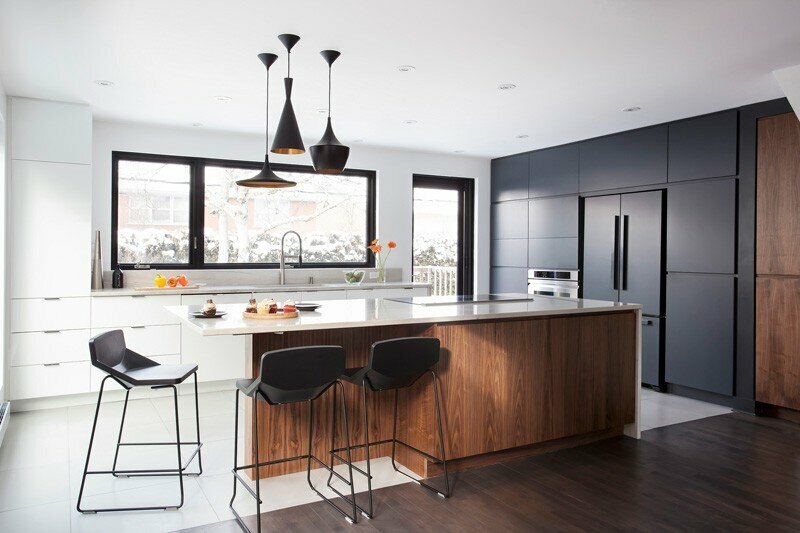 To achieve this sense of spaciousness, the architects have tucked all the main service areas of the home into a part basement, leaving the ground floor as a vast open space with a central courtyard. 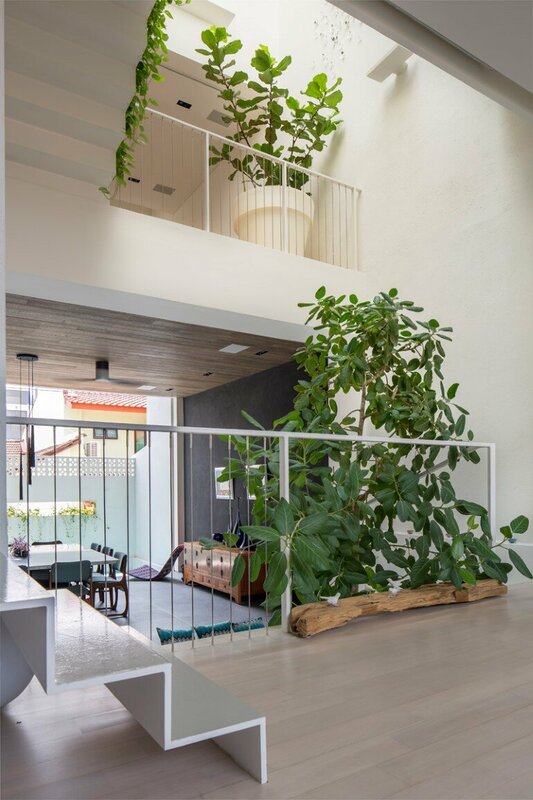 In this triple volume courtyard grows a leafy ficus tree within a bubbling water feature, bathed in gentle sunlight from the skylight above. 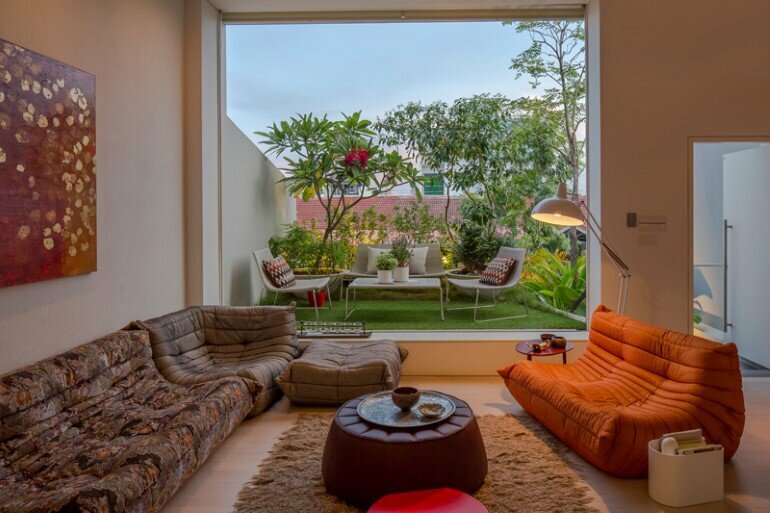 The center of the home, which is in many inter-terrace houses a dark and uncomfortable space, is here transformed into a lush internal garden. 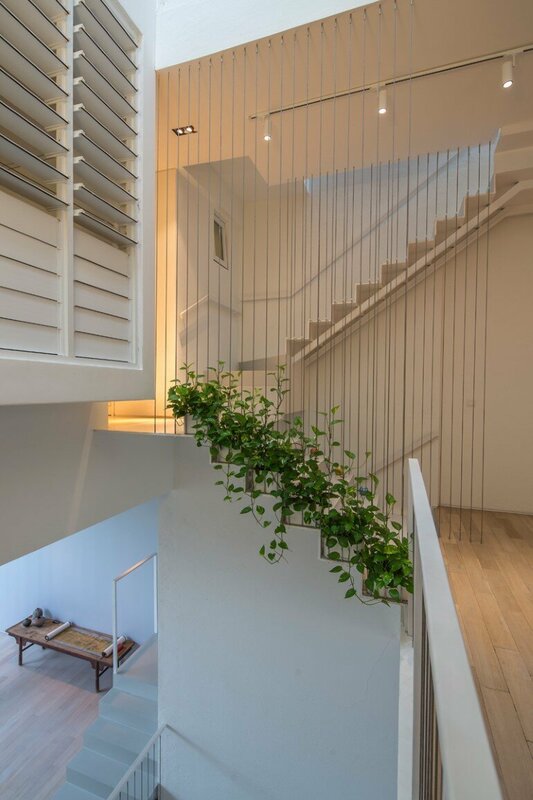 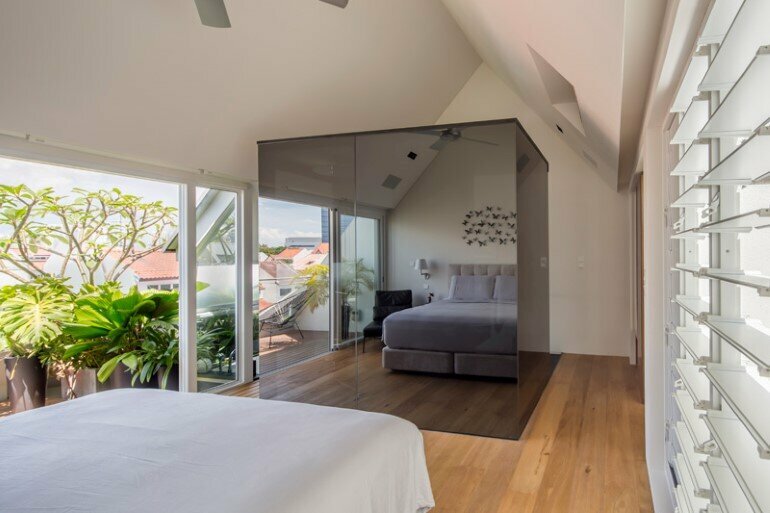 The front and the back facades of the 1st storey living spaces have been opened up to the maximum, using transparent roller shutters that can be hidden in the ceiling, allowing the prevailing winds to flow through the house. 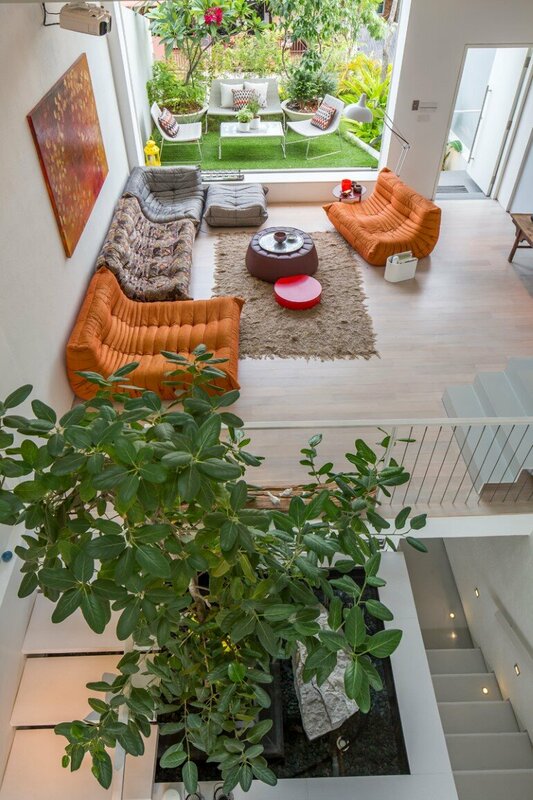 Surrounding this main living area are two external gardens at the front and back of the house. 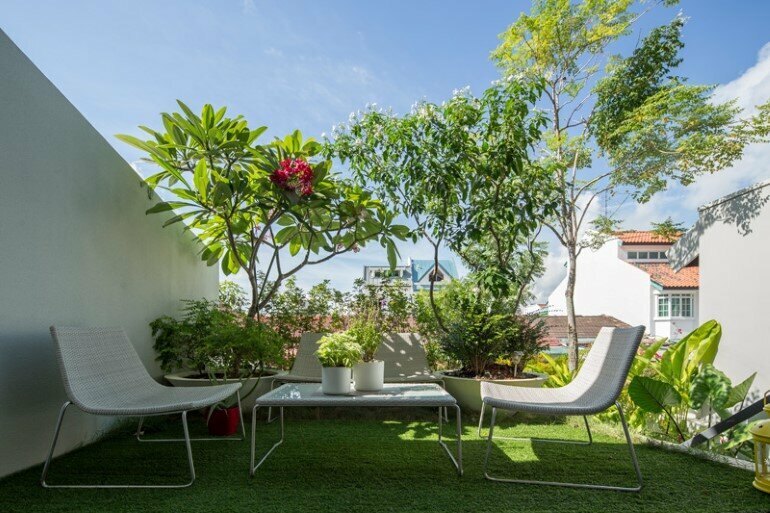 The front garden is a quaint chill-out space planted atop the car porch roof, which creates a sensuous green backdrop for living room. 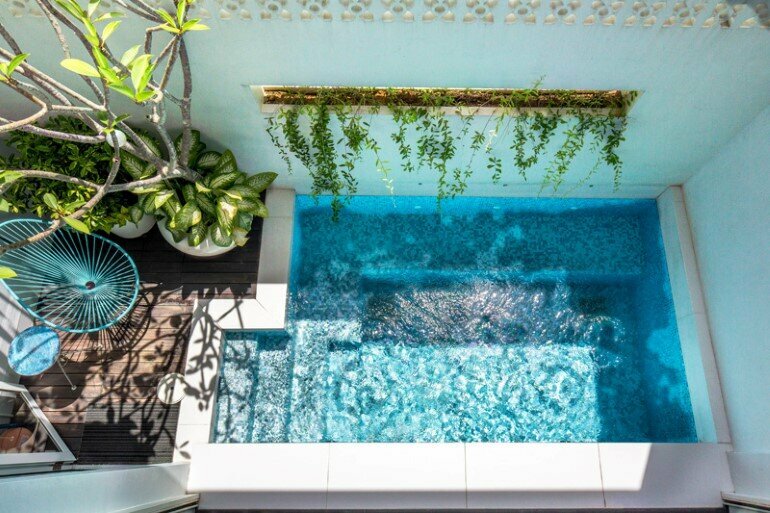 The rear of the house is designed as a small swimming pool directly outside the dining area that is nestled next to a textural boundary wall embedded with plants and ventilation blocks. 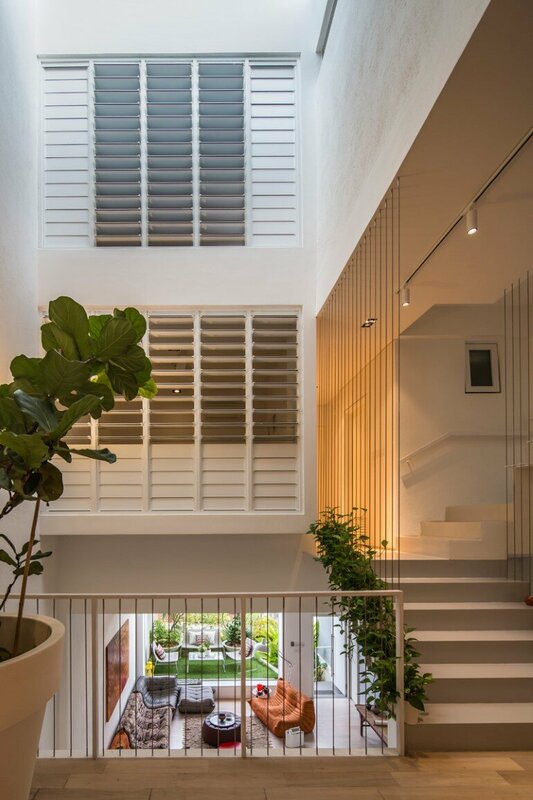 These gardens and courtyard spaces of the home allow the occupants to feel the movement of the natural light across the house throughout the day, while shading them from its harsh impact. 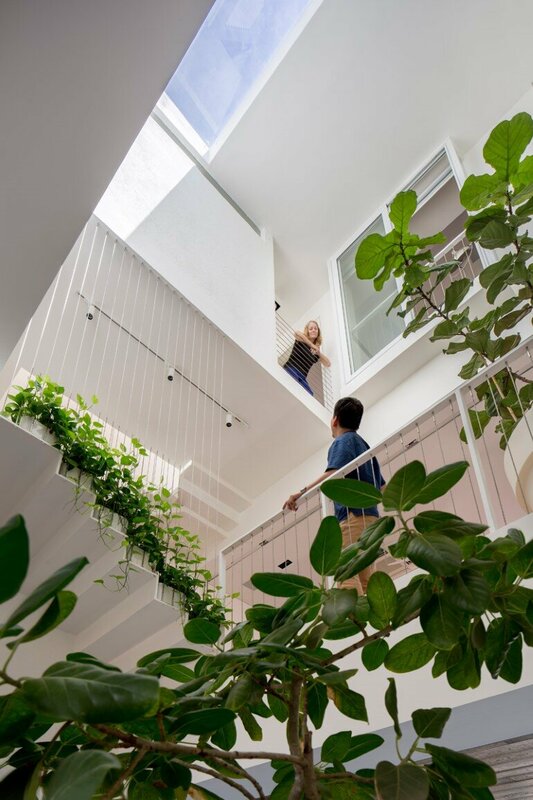 Several levels of tiered opened spaces can be seen while looking through the central courtyard – each planted with trees and creepers that lead the eye through the house, enhancing the views of the various spaces and greenery, into the blue skies beyond.